Chris was born and raised in Cincinnati, where he was involved with football, basketball, baseball, swimming, and track and field at some point or another in high school. Chris was privileged to learn to embrace teamwork, self-discipline, the (learned) skill of proper preparation and the patience needed during diligent rehab of various injuries during this time. Prior to working in physical therapy however, Chris graduated from the University of Cincinnati with a degree in Psychology. After graduation, he worked as a Mental Health Specialist in the Department of Psychiatry at Cincinnati Children’s Hospital, a mission he is proud to have embarked upon. 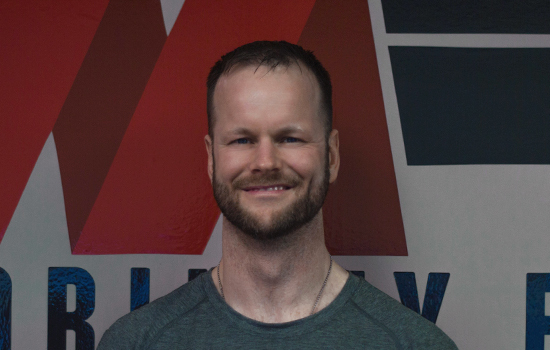 Ultimately, his athletic background led him back to a long-time interest in athletic movement and human performance, which led him back to school at UC for Physical Therapy. Chris received his Doctorate of Physical Therapy (DPT) in 2011, and is passionate about using his talents and skills to serve others. When Chris isn’t busy taking care of clients, his time is spent as a blessed husband to Amy, and dad to Caleb and Lylah (whose Down Syndrome has taught his family more than can be expressed), all the while still doing what they enjoy. Chris is most alive in the outdoors, where family travels have taken them to some incredible places like Yellowstone, Zion National Park, and New Zealand to name a few.